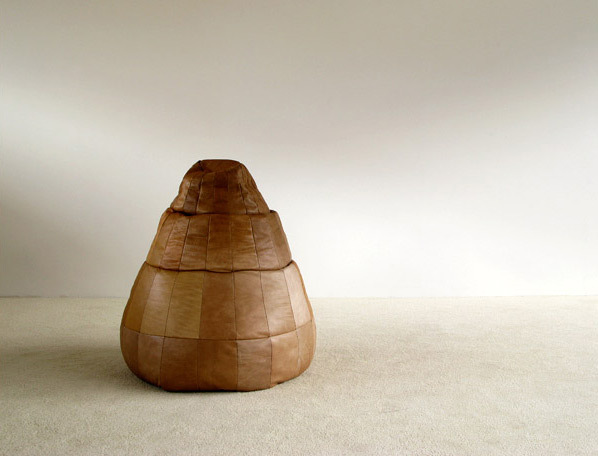 Leather brown patched bean bag, DeSede Switzerland. mid-century modern design. Pouf en cuir brun, DeSede Suisse. Conception moderne.